On TV continues the Fujii Souta fever and many programs include some news about shogi. 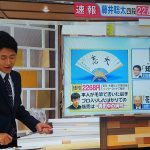 At TBS news they introduce an old variation of shogi called Taikyoku Shogi. 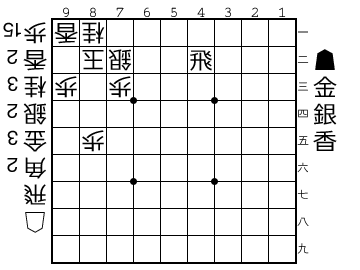 This Shogi is played on a 36×36 board (1296 squares) and have 209 different pieces. Some have names like dog, wind dragon or pig officer. To set all the pieces ready at least one hour is needed and for finish the game at least 2 days. For this Shogi there is no rule for drop pieces. Here is a video of this type of Shogi from another program. 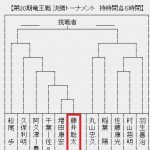 Now Fujii Souta is playing his 26 game against Segawa at the Jun’i league group C2. Will he continue with his victory strike? 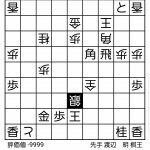 board, fujii souta, giant, News, segawa, shogi, taikyoku shogi, TBS, tv, ultimate chess, 大局将棋, 藤井, 藤井聡太. Bookmark.